​congrats to the new owner -this car is one mean beast! * Fantastic condition inside, outside and mechanically. *READY TO CRUISE & ENJOY NOW! ​This is a genuinely awesome car ready to cruise and I hate to let it go. This car is very hard to part with but I need to sell it fast to fund other projects, hence the price. Not a public car yard, by appt only, I am a collector with too many cars. ENORMOUS INSTANT GRUNT with less weight so handles great. SOUNDS UNBELIEVABLE– INCREDIBLE MEAN REAL V8 IDLE & RUMBLE and just roars when your foot goes down. NOTHING I KNOW OF TO DO FOR REGO. Seatbelts/Lights all ready all done. ORIGINAL FACTORY V8, upgraded to 360 and being still a small block avoids all the extra requirements to register unlike Big Block conversions. 72-74 only released factory small blocks so any big blocks have extra engineering certificate /rego requirements. It also handles better and is lighter and quicker with this ideal engine size. THERE IS NO ONE THAT WONT BE IMPRESSED WITH THE POWER WHEN THEY DRIVE THIS CAR. If you are worried about having enough power you need to drive this car. The worked 360 and the lighter small block gives this car far superior grunt. "With a low total production, as well as low survivability over the years, any Challenger is worth a substantial amount of money." WHY ARE CHALLENGERS SO DESIREABLE AND ALWAYS GOING UP SO FAST IN VALUE? 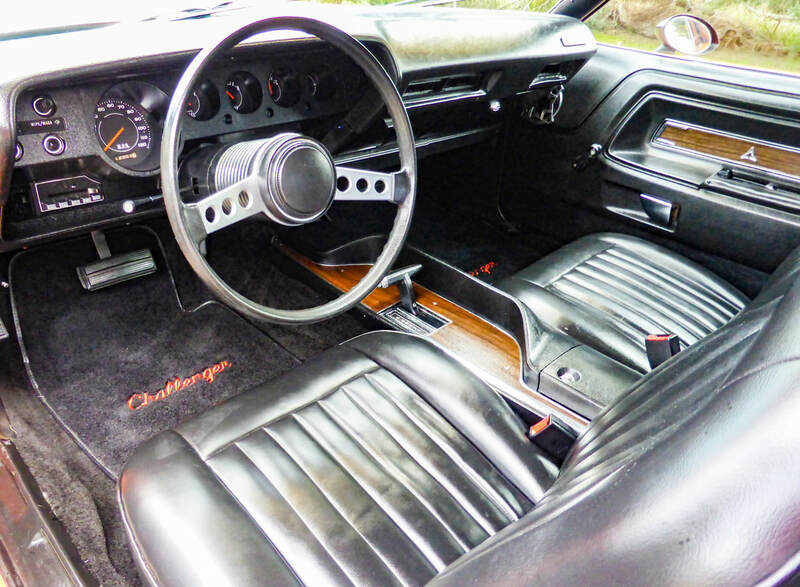 ​Built using the famous chrysler E Body platform shared with the Barracuda it was the first dodge pony car. 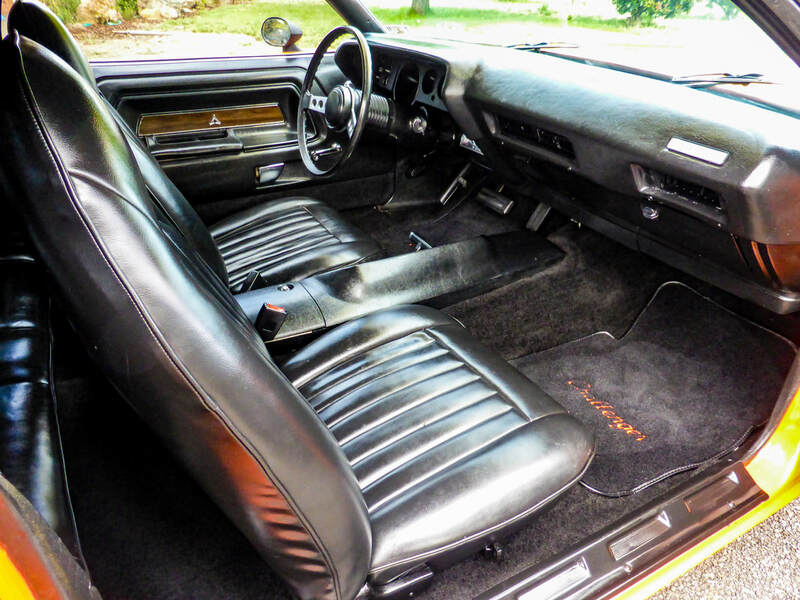 Sportier and lighter than the charger it was their more luxurious higher end muscle car. 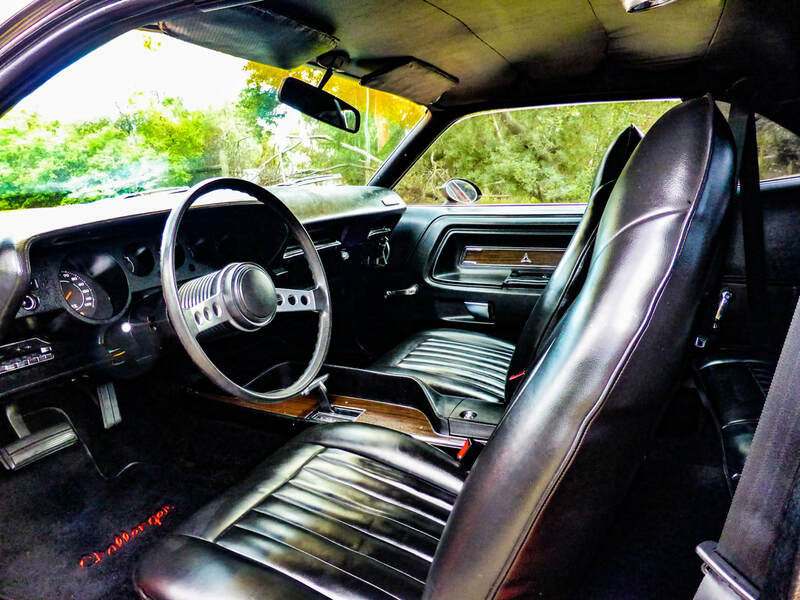 Positioned to compete against the Mercury cougar, the pontiac firebird and a late reponse to the Ford mustang in the upper end of the pony car market. 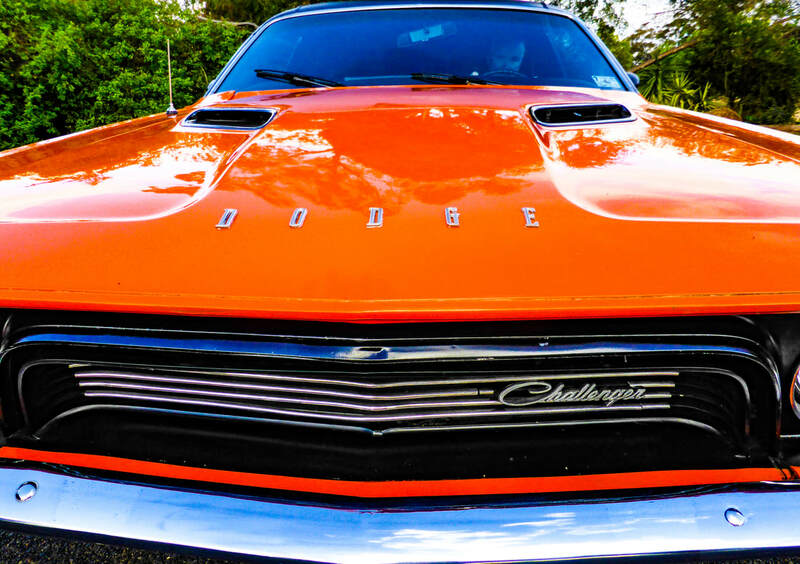 Chrysler intended the challenger to be the most potent pony car ever. 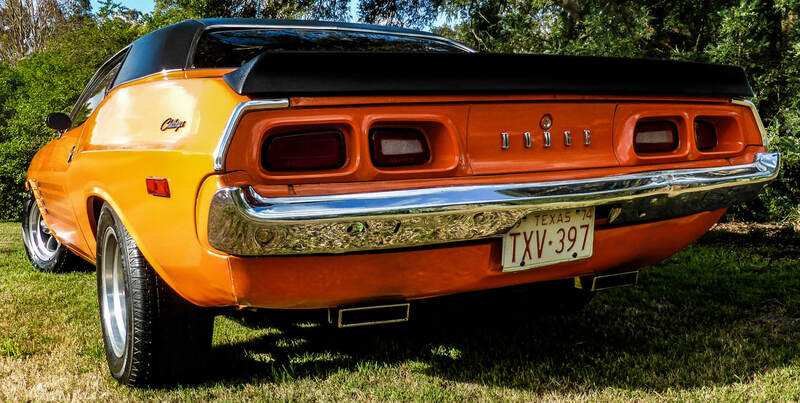 They were raced in the trans am series and as racing cars they were raced with the small block 340 with its lighter weight lending superior handling and speed. Less than half were made as other years. It was the year of lowest numbers as they were only made for 6 months. 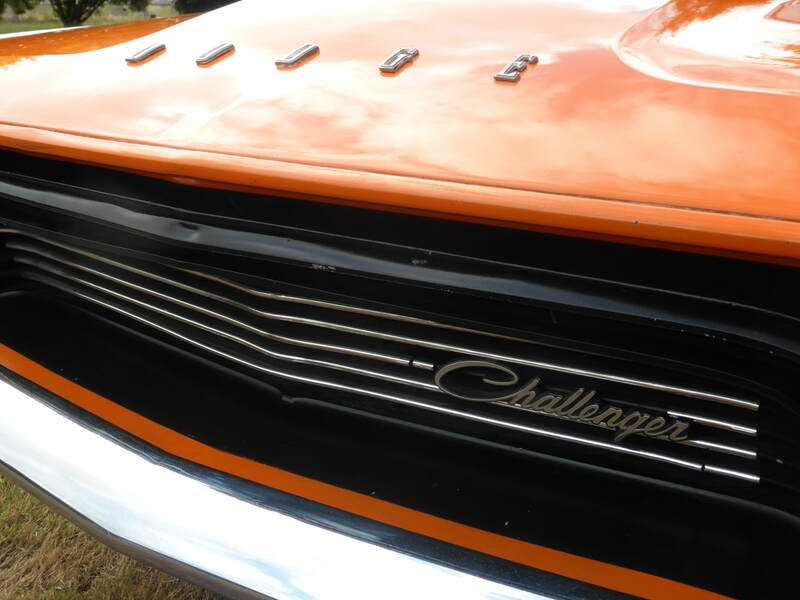 Final year of the challenger production as a V8 muscle car. They have recently been re continued in 2008 with enormous success and the 2018 challenger demon is the fastest production car to reach 100km/hr and over 1/4 mile. An awesome 5.9lt 360 Chrysler V8 with magnum 4 barrel 600 holley carby with mild work done and alloy intake manifold. To drive it has enormous power and instant response. Cruises super smooth quiet but still with beautiful V8 note that roars instantly your foot goes– it sounds incredible, is really comfortable and super fun to drive. ​Our mechanic was most impressed with the condition of this vehicle. · Front Wheel Disc Brakes near new cond—stops awesome and perfectly straight. · No leaks at all I have seen. Nice wide tyres 245 rear, 235 front. Tyres brand new on front, rears excellent condition. Locknuts on wheels. NO RUST – couple very shallow small paint bubbles only on the car. Has had very bottom of lower rear panels behind rear wheels repaired but is a super solid car. Very straight and clean panels- No dints or dents or damages at all. All panel gaps good (bonnet just needs slight adjustment). · All working Indicators, parking lights, brake lights, reversing lights in great condition and meet Australian standards for rego. · All doors and locks work. LHS door a little sloppy on hinge but functions fine. · Almost new Vinyl roof in excellent condition. No damages at all, alot small glue bubbles only, looks awesome. Overall this car looks fantastic but is not a showcar. There are some small chips and touch-ups etc, so not perfect but is a gorgeous club car / weekend cruiser and is a hell of a headturner. Stunning black seats in immaculate condition front and rear and very comfortable. Brand new Australian standard seatbelts front and rear. Fantastic condition of Headlining, Carpet, Sunvisors, Door cards, Dashpad. All trim is near perfect with almost no damage or scratches (one scratch just visible on lhs door card). The whole interior is in excellent condition, with only minor defects that barely noticeable—missing plastic part of dome cover, slight gathering of headliner in rear corners is about all. · All gauges work and look great with the circular shape of the era. · JVC stereo CD player and pioneer kicker speakers front and rear. · Fan works, heater works. 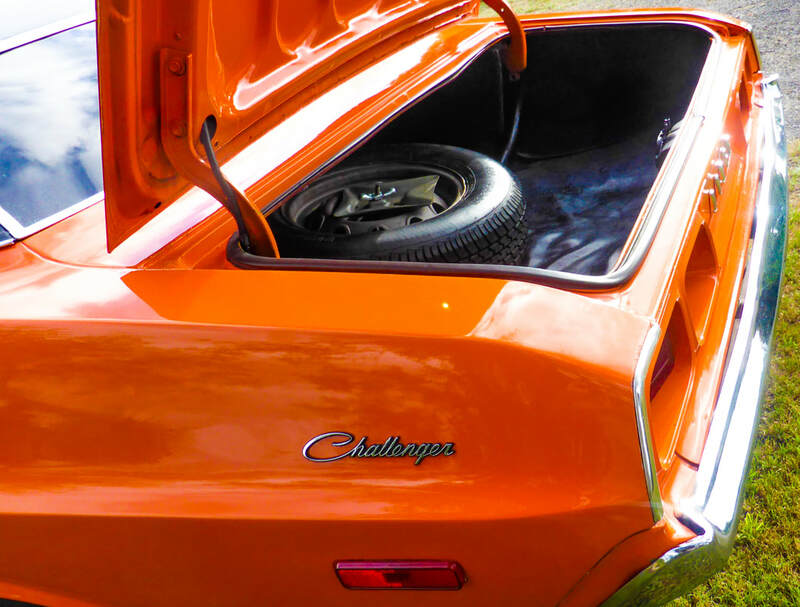 · Great size rear boot with plenty of room for the luggage on the weekends away. Boot in great condition. Boot light works. · Original Dodge Jack, wheelbrace and spare wheel– spare tyre in brand new cond. · Factory A/C car, removed from firewall forward like most are for speed. NOTHING MUCH TO DO FOR REGO that I am aware of. Seatbelts and lights already changed to meet Australian standards, new electric fuel pump safety cut out fitted. Correct Import papers and US title and Bill of sale. Large number receipts for over 10-15 years all indicating it has been a long term texas car and California prior. This is a real headturning car in fantastic condition that I absolutely love driving. Sorry we are hard to catch but please leave message and will return call asap. Lmct 11816 sorry not open to public only for private sale as I am a collector with too many cars.